THE CROFT ETHOS IS TO OFFER HIGH PERFORMANCE AUDIO AT SENSIBLE PRICES. I believe Croft Amplifiers to be the most underrated, best value for money amplification on the audio market. Glenn Croft has over 35 years of experience refining truly innovative valve circuits at very reasonable cost. They are hand-built and meticulously point-to-point wired in the UK. Great tone and dimensionality that works brilliantly with vinyl and transforms digital. The Croft 25 pre-amps – All valve designs which come in linestage or phono versions. If you don’t play vinyl, a linestage version is all you need. There are 3 main versions. 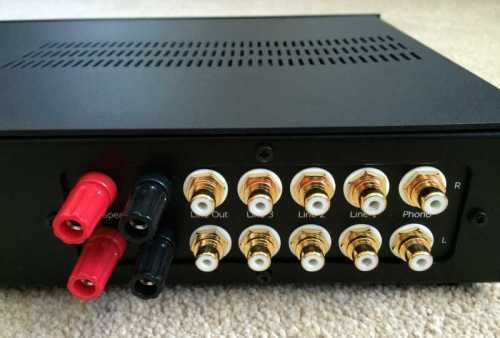 1) 25 linestage £550, 25 with phono £770. 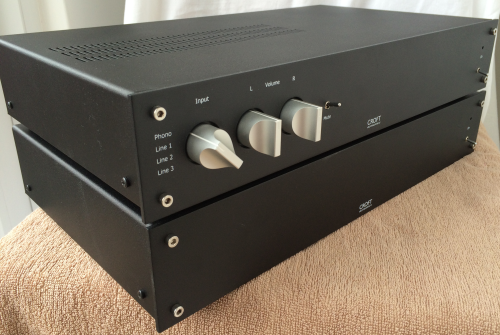 2) 25R – regulated power supply giving more grip and control – £1000 for linestage version and £1400 with phono. 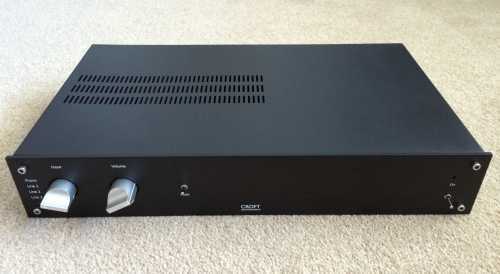 3) 25RS top of the range 2-box pre-amp – power supply regulated and upgraded transformers in separate box – £2000 for linestage version and £2800 with phono. They can all be ordered with 2 mono volume controls or 1 stereo. I can fit REMOTE CONTROL to all versions. The power amps are hybrid designs with valve input stage and mosfet output stage. The advantage of this is that you don’t need to change expensive output valves which can get consumed in a year or so of hard use with an all valve power amp. Also, mosfet bass tends to be tighter than amps with output valves yet without the exaggerated bass tightness of many transistor amps. 3) Series 7R mono-blocks – more separation and bigger soundstage. £2800. NATURAL IN TONE AND BODY – I have owned Croft equipment since my teens when I purchased a Micro to use as a pre-amp into the original Nad 3020. (For more on this see the ‘About Me’ section.) I admire the fact that the tonality of all his products is extremely natural while rhythm and timing are spot on. Over the years I kept coming back to this range having compared many competitors’ products and found them lacking. Glenn’s genius lies in his ability to simplify a circuit to the point where transparency comes to the fore. Workmanship is superb. There are three pre-amplifiers in the current range plus the Linestage versions of each model. (The Basic has been discontinued.) Standalone Phono stages are also available. 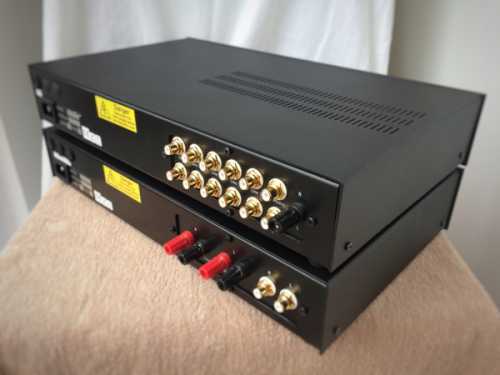 Zero gain versions can be ordered at no extra cost for those with very powerful power amps or power amps with a particularly low input impedance or very sensitive speakers e.g. horns. 3) The 2 box 25RS. They all have separate volume controls for left and right channels and a mute switch. The ‘R’ stands for Regulation and gives more grip across the whole frequency spectrum; bass is more controlled and cymbals more focused. ‘R’ versions also have a more refined sound because phono sockets are higher quality and resistors in signal paths and key capacitors are upgraded. The R versions also have an extra transformer for the regulation circuit. ALL MODELS CAN BE ORDERED WITH SINGLE STEREO POT AT NO EXTRA COST. I OFFER A REMOTE-CONTROL OPTION. Cosmetically the various models use similar casework. Croft do not believe in fancy extrusions which waste world resources and make Hi-Fi akin to jewellery. These are not the old Micro circuits in a new case; they are quicker on their feet and more focussed. The 25 pre-amps employ a type of hybrid design with an SSD doing the job of the usual cathode follower valve. Glenn says that “hybrid” is not really a correct description as the Mosfet is not directly in the signal path. Prices range from £550 to £2800. The hybrid power amps from the Twinstar to the present Series 7 range are designed similarly to his classic output transformerless valve circuits with one leg of the mosfet going directly to the speaker terminal. No biasing is needed. Better tone and naturalness than a typical 2A3 or 6550 valve amp using current production output valves IMO. The Series 7 range are hybrid in design using improved circuitry over the previous Croft Polestar/Twinstar range of amplifiers. The 45w Series 7 sounds significantly more powerful than the 100w Primare A30 and 50w Rega Brio R in my experience. These are designed to work with the Micro 25 pre-amps and complement each other perfectly. Both pre and powers are phase-inverting. 1) The Croft Acoustics RIAA phono stage The RIAA phono stage is MM uses 2 valves. Price: £500. 2) The RIAA R with regulated power supply and non-inductive resistors in key signal positions. Extra transformer. 3 valves. Price: £1000. 3) The 2 box RIAA RS with really beefy outboard power supply, further regulation and higher component quality. Price: £2000. 3) The Integrated R which is line only has no space for a phono stage. Probably the best value for money valve amplification on the audio market. Nearly 40 years of experience hand-building point-to-point wired products. Croft aim for sonic neutrality which through the medium of valves imparts depth, dimensionality and a superb tone. The phono stages are simply brilliant and with Croft amplification digital comes to life. Made in the UK with a 2 year warranty.